Katherine Arbuthnott has been a board member of Public Pastures – Public Interest since its beginnings in 2012. 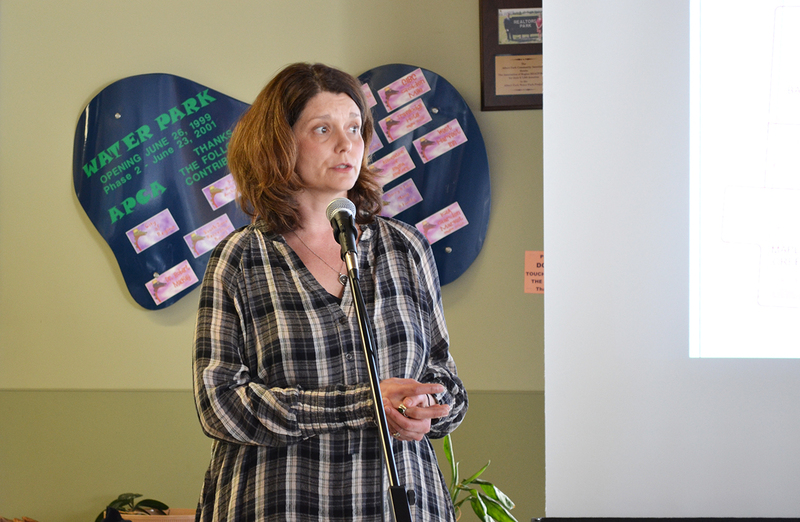 PPPI is a small group of Saskatchewan citizens that was instrumental in raising the profile of public pastures after the federal government announced it was shutting down the PFRA Community Pastures Program. For the past year I have been attending monthly meetings, held by the 10-member board in Regina with others skyping in from Saskatoon. The collective and grassroots nature of PPPI is what makes it unique. 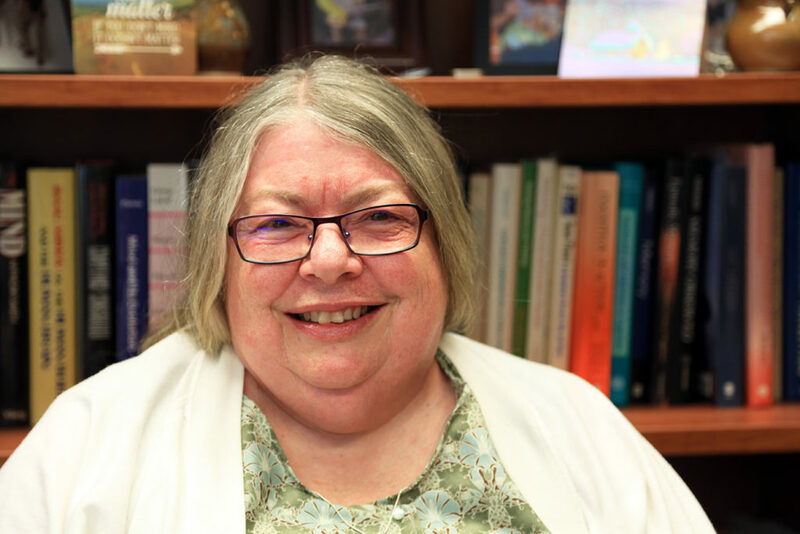 Despite operating on a shoe-string budget of $15,000 (funds are donated or fundraised), Vice-Chair Joanne Havelock estimates that through the 500 contacts on its mailing list, PPPI has a network of hundreds of thousands of individuals it can call on for support. Arbuthnott is a psychology professor at the University of Regina who specializes in conservation psychology. I took a graduate readings course with her in the fall 2017 semester. We discussed the phenomenon of social norms and how they motivate our behaviour when it comes to protecting and conserving the environment. Turns out that instead of doing what’s right, in the end, we’re more motivated by what our neighbours are doing. I asked Arbuthnott about PPPI and her research. This interview has been edited for length and clarity. Katie Doke Sawatzky: Is your course on conservation psychology popular these days? Katherine Arbuthnott: Yes, it is. I get students from a variety of disciplines. Psychology students, of course, but I get lots of environmental studies students. I’ve had biologists. I’ve had people from geology. It’s been very interdisciplinary, which is really one of the great benefits of the class because conservation psychology is really, we see ourselves as collaborators. The work we do really is to work with others to take into account the human decision-making side of improving sustainability. KDS: How would you define PPPI? KA: Really, a group of Saskatchewan citizens who are interested in maintaining the health of the native prairie environment and keeping it public. We started in response to the changes to the PFRA program, but really the heart of our interest was always about publicly owned native grasslands. KDS: How did you become involved? KA: It’s a flashbulb memory for me. I was in my quilting room, listening to the radio, and somebody came on to talk about (how) in the latest federal omnibus budget bill, there had been a clause about dissolving the PFRA, getting rid of the PFRA pastures, and devolving them to the provincial government, who planned to sell them. "We started to identify that this was going to be an invisible thing, unless we did something about it. That’s how PPPI started." I felt like I’d been kicked in the gut. It seemed like such a central part of my homeland. Physically, the landscape, but also sociologically. This was a program that, at least in my mind at that time, was the way that we publicly supported young farmers trying to get into the business without having to own a lot of land. It seemed part of our generational caring, for our rural families, farm families. I emailed (prairie naturalist) Trevor Herriot to say, I just heard this, it’s horrible, we have to do something. We started to organize a seminar. I was a member of the university, so I could get space for us to meet. We met during Agribition, when people would be in town, just to talk about it. That’s when we started to identify that there was a gap. People didn’t really know, particularly in the urban areas, the history of (the PFRA). I’m old enough to know how it’s kind of woven into the fabric of the province, but my kids didn’t know about it. We started to identify that this was going to be an invisible thing, unless we did something about it. That’s how PPPI started. KDS: Did you have experience on the pastures? KA: I grew up in Regina and Saskatoon but I spent all my summers on my uncles’ and aunts’ farms between ages 10 to 18. They took their cattle out to pasture but I don’t remember if they were community pastures. I knew what the PFRA system was, just being a citizen of Saskatchewan. It was somehow there, in my history. I was 10 when my mom died and the first summer afterward we stayed on my aunt and uncle’s farm by Paswegin, close to Wadena. It was a lot of work. We were always hauling wood and weeding gardens and watering, baking and cooking. I was used to a lot of private time and I didn’t have any there, and I was still grieving. I wandered away, one day, when I was supposed to be weeding the garden, to an adjacent grassland. I don’t know if it was a pasture or what, but there were tall grasses. I laid down in it, and people couldn’t see me. I had a good cry, and when I was finished with that I noticed the lovely breeze and the grasses above me. I just kind of came to in the present moment in this grassland and felt at peace, really. I was by myself, and beautiful nature around me. I really discovered how healing that was. I was familiar with grasslands but I hadn’t really looked so carefully at them as then. KDS: That’s a lovely story. KA: It is. It’s a central story for me. KDS: Going back to that meeting, the conference where everyone gathered before PPPI formed. Who was there? First Nations groups, pasture patrons, conservationists, researchers who did a lot of research on the prairies and artists like Branjimir Gjetvaj who did photography on the pastures. Pasture patrons decided to set up their own group, so they weren’t members, but we had close alliances between our two groups. Our membership is pretty wide (and) is really anybody who’s interested in native grasslands and public ownership of land as well. We’ve supported quite a bit of research and events. It would help us if we had an income source so we could hire somebody, because we’re all doing it off the side of our desks. KDS: Can you describe what the feeling in the room was like at the meeting? It was really interesting because it was a collection of people that hadn’t gotten together before, really. We didn’t have common purpose up until that point. We were all alarmed about the situation and energized, like, what can we do about it? We had different perspectives on what was at risk. We had panels and presentations and then lots of discussion. I certainly was hearing voices I hadn’t heard before, and I think everybody was. We were finding kind of common purpose around this, so it was hopeful. Katherine Arbuthnott has been a member of Public Pastures - Public Interest since 2012. Credit: Katie Doke Sawatzky. 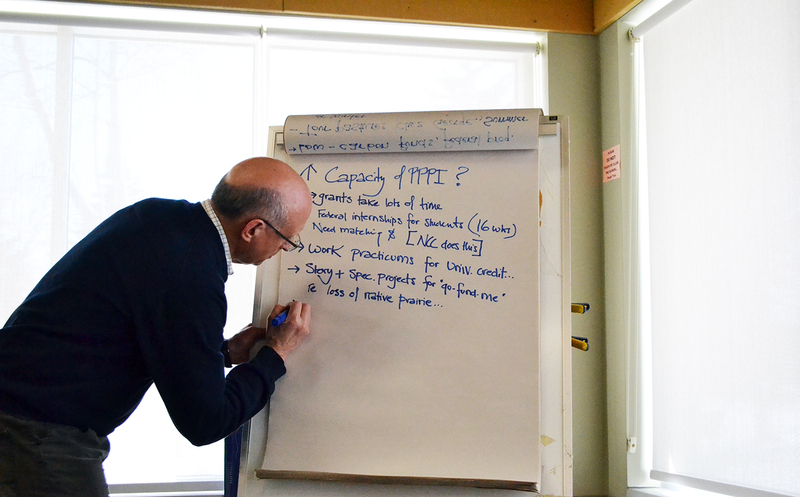 KDS: What are some of PPPI’s successes? KA: There are the two big things. One is we’ve managed to maintain conversational links between groups: pasture patrons, ranchers, First Nations groups, the Métis. I think that’s our biggest role, to be the bridge for conversation between groups that don’t really trust each other or don’t have easy access to have conversation with each other. "I certainly was hearing voices I hadn’t heard before, and I think everybody was. We were finding kind of common purpose around this, so it was hopeful." Number two is, well, nothing has been sold. One of the things that came out of that first meeting was to slow the process down. Nobody knew what to replace (the PFRA) with. We needed some time to figure things out. I think we’ve been pretty successful at that because the process did get slowed down. Both federal and provincial governments heard from enough people to know that there’s public concern, and they couldn’t just quickly rush ahead with these things. KDS: How were you able to make these things happen? KA: We’ve had several letter-writing campaigns and we’ve had a petition that went to the federal government. The federal government is still working on potentially having three of the big pastures down in the southwest corner become a conservation area. 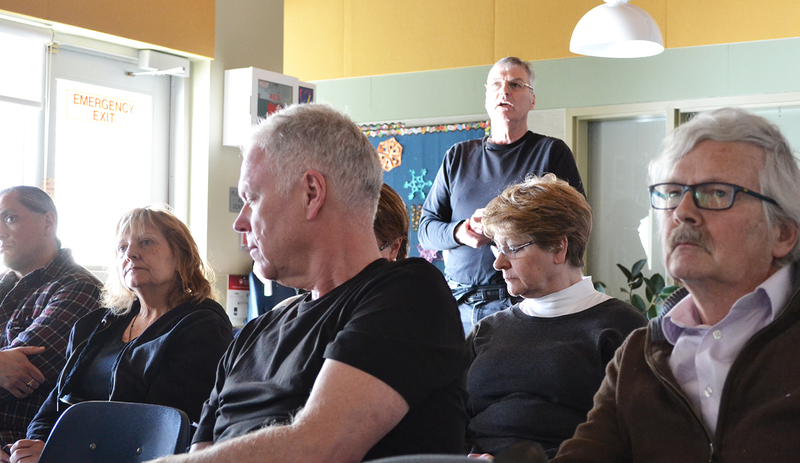 They’re working with ranchers in the area and First Nations want to be at the table. We facilitated that to happen better. We have raised public awareness. People I think are more aware now of the pastures, the difference between private and public, why maintaining some commons, some public ownership, is a useful thing. KDS: And other things haven’t gone as planned? KA: All of the pastures now have been devolved to the provincial government so that’s not been a success. We wanted to stop the process, but, didn’t happen. But nothing has been sold, at this point. There’s not a good management model that has come forward for the former PFRA (pastures). It’s all on the lease farmers with no resources for them to accomplish (pasture management). Of course they can’t do it. They’re busy farming and maintaining their family. It’s not that they don’t want to do this other thing, it’s just like, who can do three full time jobs at the same time? We haven’t figured out a good way to facilitate that without taxpayer support, which is what the PFRA did. KDS: How has PPPI evolved? The divestment finished this year, so what are current projects you’re looking at now? KA: We’ve expanded our focus to grasslands, not just the farmer PFRA pastures, because the provincial public grasslands are in some trouble as well. We’re interested, now, in all public grasslands. We’ve established pretty good connections with other organizations in other jurisdictions that are facing some of these same problems. There’s organizations in the States where multiple groups have come together to try to preserve grasslands. Manitoba’s doing things quite differently than we are, there’s organizations in Alberta, so we have gotten better integrated with these other grassland organizations. As far as public awareness, we’re now interested in, how do we get more urban people onto some grasslands so they know what it is we’re trying to protect? 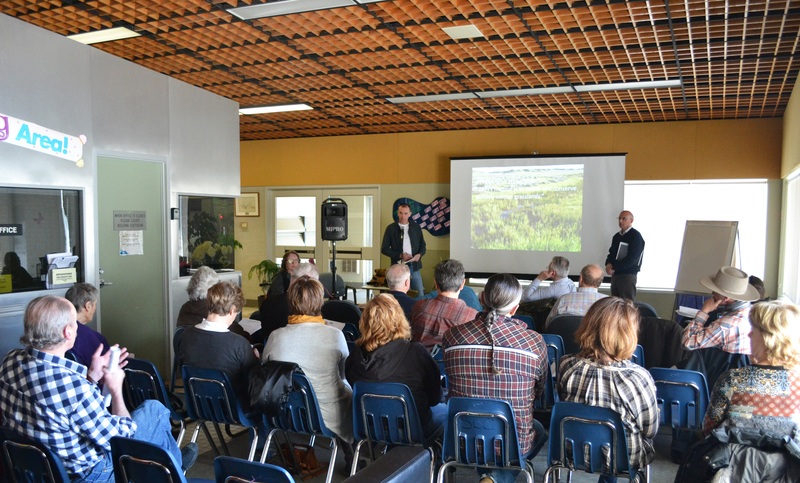 We’re thinking about ways to develop citizen-science projects, about ways to find places close to Regina and Saskatoon that are grasslands, to have more tourism kinds of things on those grasslands. Funding has, sadly, become one of our priorities. Trying to figure out how we can hire some people so we can have more stable attention to this without burning all of us out. KDS: I’m wondering if PPPI gets at something more than maybe other conservation organizations do because of the collaborative model that it is. My granddad was a homesteader. He was from Scotland, and his closest neighbours down the road were from the Ukraine, and that’s how communities were. They had to rely on each other, and learn to work together, without losing themselves, because everybody maintained their own ethnic background. That’s kind of a model for me of how it worked in Saskatchewan, because it had to work like that, because we really needed each other. There’s something of that in PPPI. We recognize that we can’t do this on our own. As much as we love conservation, we have to think about the needs of the farmers. We have to think about the oil industry and the hunters and the artists– we have to figure out how do we do this all together, with this mix of sometimes contradictory sorts of needs. First Nations’ treaty rights require public land, so that’s really important. Plus, they know something about living on this land in a sustainable way that really lots of us don’t. I think we get that and we do our best to try to build that into our steering committees and projects. We’re not perfect. We’re mostly urban people and so we struggle with that a little bit, but it’s certainly in our goals, in a way that might be different from more focused organizations. KDS: How does your research on conservation psychology helps you in your work with PPPI? KA: Environmental problems are caused and maintained by human actions. What conservation psychologists can bring is knowledge about behaviour change. How do we use our knowledge about behaviour change to frame things, to organize things? People have to adapt to whatever new system we come up with. They have to be willing to embrace it and so knowing something about people and how people change is useful to all of the other conservation efforts. 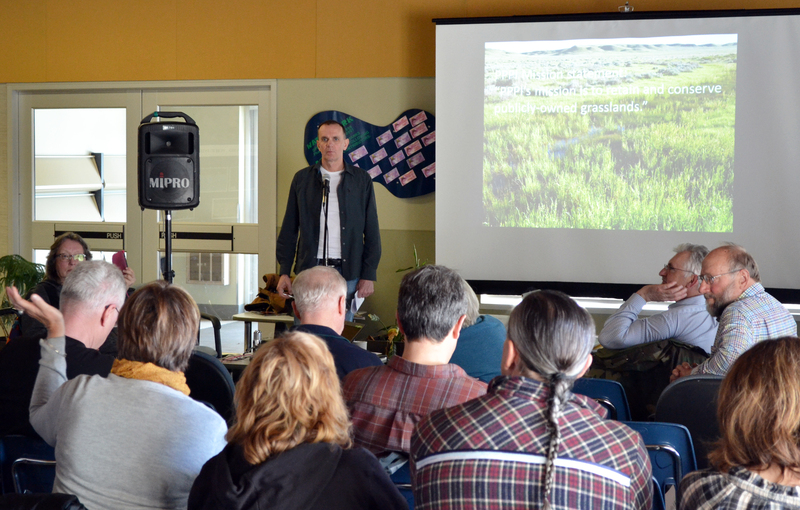 "First Nations’ treaty rights require public land, so that’s really important. Plus, they know something about living on this land in a sustainable way that really lots of us don’t." KDS: This is what we talked about in our class. Can you describe things that work in getting people to change their behaviour to be more sustainable? KA: As social creatures and we’re very strongly influenced by the expectations and the models of our community. What do we think everybody else is striving for and how do we think other people are acting? We’re not aware of how much that influences our behaviour, but it’s probably the strongest influence. For example, cell phones became popular not because people learned about them – it’s because everybody else had them, right? Anybody who’s cool’s got a cell phone. We will make changes really fast if our social expectations and norms change. So, paying attention to how do we make it a cool thing to be concerned about spending time in nature, as opposed to just a weird and geeky thing that makes you outside the norm of your society. How do we appeal to what people will innately be interested in, as opposed to, it’s the right thing to do, it’s the moral thing to do. KA: That doesn’t work. Claiming it’s the moral high ground only works if you’ve made it the social norm. For example, with the #MeToo movement, the moral standing has become the social expectation. Now people are claiming themselves to be feminists, and supporting of LGBTQ, etc., because that’s become the social norm. That’s what gives us status. Not because it’s the morally right thing to do. It’s been morally right for decades and it hasn’t worked. It’s just now become the norm. KDS: For the pastures, what does trying to change the social norm around that look like? Can you give me an example? Because there’s this strong push in Saskatchewan right now to make farms bigger so people can make more money and to turn more and more native (prairie) into cultivated land, rural security is a problem. There’s that homestead thing I talked about. Your farms are so big that your nearest neighbour is so far away. There’s more to protect. Individual farmers are feeling more at risk, less secure. It’s so sparse that we can’t afford good policing over this whole area. So this is a tension now, between individualization and wanting more security, something that collectivity could offer us. One of the things the commons did was, we hired more people. There were more people living in an area, so it wasn’t such a sparse population. So how can we get more people around that very sparsely used land? Well, one of them might be, there’s more visitors. We welcome birders occasionally, or artists, or researchers, so that there’s just more human activity around this common area that isn’t in any way interfering with people’s economy or the grazing. To nudge the social norm towards welcoming the presence of other people instead of the libertarian ‘get rid of them,’ in order to protect something you care about. That’s citizen science, trying to figure out ways to get more urban people connected to specific pieces of land. KDS: I’m curious what you think about American ecologist Garrett Hardin’s idea of “the tragedy of the commons,” that the commons doesn’t work because self-interest prevails. There’s research out there that shows it’s not inevitable. Nobody thinks there’s just a tragedy of the commons anymore. There’s lots of research around what’s called social dilemmas, that if there’s something in common, each individual has two choices: to be competitive, in order to maximize their own best interest even though if everybody did that, it would wipe out the resource, or to be cooperative, thinking about the wellbeing of the whole collective. We know quite a bit these days about what factors tip us in one direction or another. Interestingly, we just choose to make the cooperative decision much more if we’ve been recently in contact with a natural environment in some way. "To nudge the social norm towards welcoming the presence of other people instead of the libertarian ‘get rid of them,’ in order to protect something you care about. That’s citizen science, trying to figure out ways to get more urban people connected to specific pieces of land." KDS: That’s something that you’ve found in your research. Are there any other conclusions that you’ve come to about contact with nature? KA: Over the last couple of years I’ve been really delving into all of the research and it turns out that nature contact improves our health in every way it’s been looked at. It improves our physical health. Nation-wide studies show people who live closer to a nearby green space live longer. Social health – we’re just nicer and more cooperative, when we have recent nature contact. Our attention is sharper. If you’ve been stressed and you have some exposure to nature, your body recovers much faster from that stress episode. There’s no downside of nature contact. It improves our wellbeing and health. KDS: What do you want Saskatchewan residents to know about these grasslands, about the grasslands in the province? KA: Oh, boy. How do I put it into words? I want them to know that native grassland provides us with riches at a much more economical level than any other system that we could use on that land. On a long-term basis, our most economical strategy to maintain sustainability on the prairies is by maintaining as much native grasslands as we can. It’ll save us a ginormous amount of money, it’ll buffer us from weather extremes, and it supports our own health and community sense as well, if we let it. 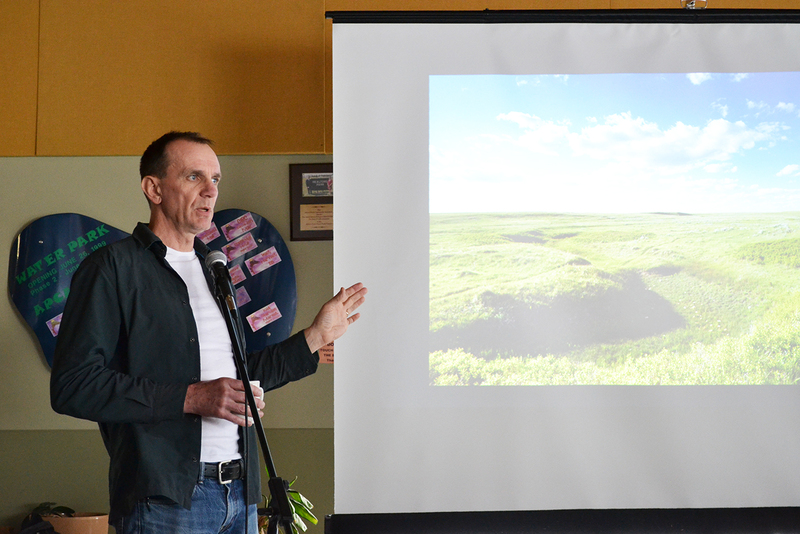 Trevor Herriot, prairie naturalist and co-founder of Public Pastures - Public Interest, discusses how the grassroots group helped halt the sale of the former PF pastures and why Saskatchewan's grasslands are important to him.